PESHAWAR -- Agriculturists in Pakistan are promoting saffron cultivation in the Federally Administered Tribal Areas (FATA) as an alternative to illicit crops such as opium poppies and cannabis. Saffron is being cultivated at 16 sites in Khyber Agency as part of a pilot project that began in September 2016, according to Faiq Iqbal, an officer with the agency's agriculture department. 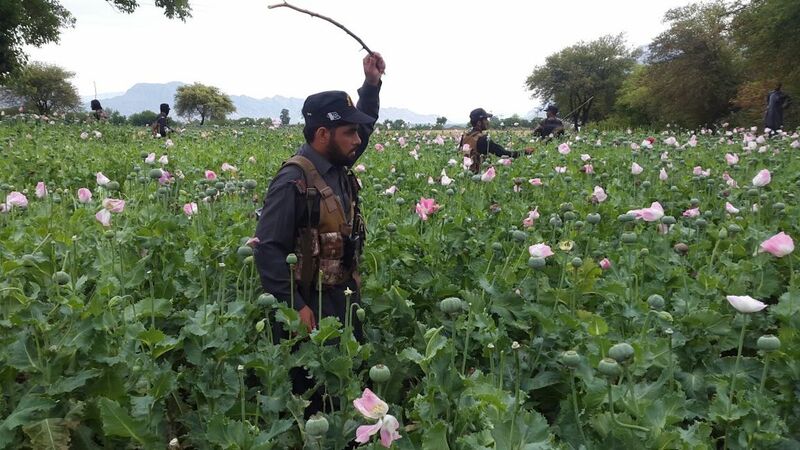 About 30,000-31,000 acres of land in the Maidan area of Tirah Valley are being used for farming, about 70% of that for growing illegal drugs, Iqbal said citing geographical information system analysis carried out by the agriculture department. The financial return of growing saffron is much higher than that of growing drug crops, which is authorities launched the project in an area where the majority of farmers cultivate illicit drugs, he told Pakistan Forward. The results are very encouraging in regard to seed germination and multiplication and the community's response, he said, adding that plans are under way to cultivate additional land with the high value crop. "Saffron is the world's most expensive spice... It is used in cuisines of various countries and is produced in very few places around the world," he said. Seeds and healthy bulbs of saffron are very expensive, but a one-time investment results in benefits for several years, he said. "The goal of the initiative is to encourage local farmers to cultivate the high value crop instead of illicit drugs," Iqbal said. "Without giving a suitable substitute to local farmers, we cannot stop them from growing prohibited crops." Saffron is a lucrative crop and has great potential for improving livelihoods in the farming communities of not only FATA but of all Pakistan, according to FATA Forests Conservator Abdul Baseer. Saffron can be grown in hilly areas as well, such as Swat, Chitral, Upper Dir and Gilgit-Baltistan, he said, adding that North Waziristan and South Waziristan are also cultivating saffron. "FATA is a terrorism-plagued region, and the main reasons behind the spread of the menace in the tribal belt have been abject poverty, unemployment and illiteracy," Baseer told Pakistan Forward. Improving the incomes of tribe members can prevent locals from slipping into the hands of extremists elements, he said. Planting saffron seeds on 1 acre of land can produce 1kg of dry threads, which can easily earn about Rs. 600,000 ($5,418) in the local market, Baseer said. Comparatively, cultivating cannabis in the same area produces 10kg of hashish, worth Rs. 300,000 ($2,709) -- or half of the profit earned from planting saffron. "The response of farmers is also encouraging... [they] are now expressing consent [to cultivate] saffron on their land," said Fazle Imran, an official with FATA's Rehabilitation and Reconstruction Unit, which oversees rebuilding efforts throughout the tribal area. The idea of farming saffron in FATA arose during field visits to tribal areas as part of integrated natural resource management assessments, he told Pakistan Forward. During the visit, officials learned that farmers preferred cultivating cannabis because of good financial returns due to better market linkages. In order to promote saffron farming, the concerned departments need to develop market linkages to provide farmers with good financial returns and train them in saffron farming, which requires specific techniques, Imran said. They also should distribute saffron bulbs for free to local farmers to make cultivation more attractive, he said. "Apart from [introducing saffron], the agriculture department has also promoted the plantation of medicinal and herbal plants, including Nigella sativa, Carum copticum, ispaghol, violet leaves, Psoralea corylifolia, cumin, [and] stevia," said Faizullah Khan, a consultant with the FATA Directorate of Agricultural Research. 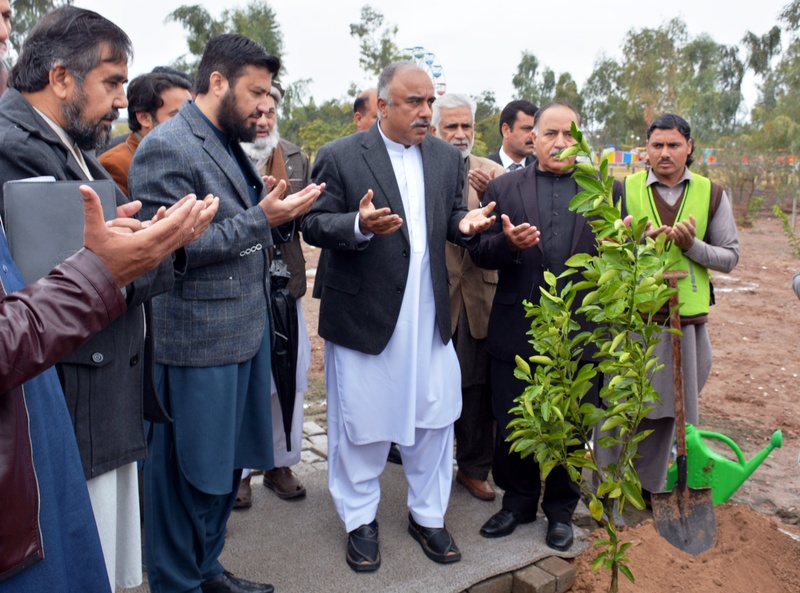 Officials are arranging a visit to FATA by representatives of pharmaceutical companies working with herbal medicines so they can develop market linkages through direct contact between buyers and growers, he told Pakistan Forward. "This is a laudable initiative," said Maj. Muhammad Arif, spokesman for the Khyber Pakhtunkhwa Anti Narcotics Force. 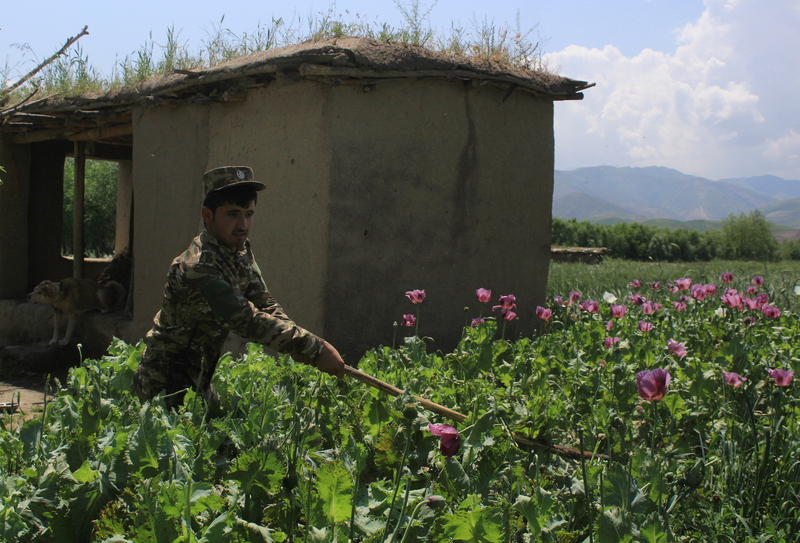 Authorities say they have cleared about 95% of the poppy crops in the area as part of an ongoing counter-narcotics operation.